Wrigley Field is baseball’s most cherished ballpark. Just try to disagree. There may be diverse opinions on which venue is the best — Boston’s Fenway Park has claimed for itself the distinction of most beloved. But the old yard at Clark and Addison on Chicago’s North Side, where baseball has been played since 1914, still stands apart. 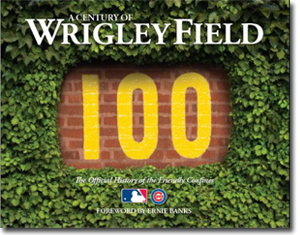 Just in time for the centennial season comes “A Century of Wrigley Field: The Official History of the Friendly Confines.” Published by Major League Baseball and the Chicago Cubs, it’s a coffee-table volume that will delight the believers and persuade those who don’t get it yet. Naturally, there are hundreds of spectacular photographs — all pulled together by the narrative written by veteran Chicago journalist Alan Solomon. It would be hard to imagine a more fitting author. When he was eight, Solomon got his first baseball glove. It was a Hank Sauer — the 1952 National League MVP Award winner with the Cubs — model, which he still has. He was also a vendor at Wrigley, Comiskey Park and Soldier Field to help pay his way through college — and covered the Cubs and White Sox for the Chicago Tribune from 1988 through 1994. There was a time, and not that long ago, when any decent saloon kept a copy of “The Baseball Encyclopedia” prominently displayed behind the bar. It came in handy to help settle arguments, or at least provide ammunition to one side or the other. These days, of course, a few taps on a smartphone can achieve the same result. One thing that hasn’t changed is that baseball fans have strong opinions, and they are happy to share them — especially when a view isn’t shared by a person too thick to absorb the wisdom that’s being so freely dispensed. The starting point for many debates starts with lists that authoritatively claim to identify the best of anything and place them in their proper order. 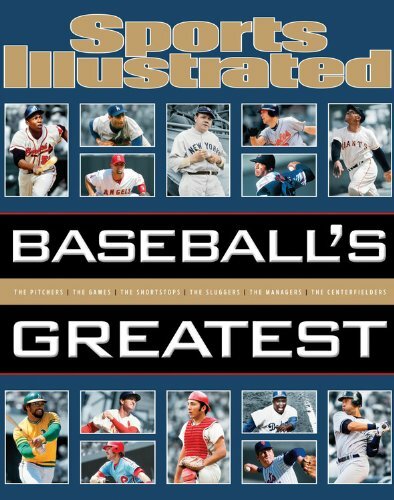 Sports Illustrated was brave enough to take on this task with “Baseball’s Greatest,” a coffee table volume that attempts to not only rate the Top 10 players at each position but goes on to make a case for the best games, managers, ballparks, franchises, sluggers, runners, defenders and more. If Helen of Troy had the face that launched a thousand ships, this is the book that will launch at least a thousand passionate discussions.